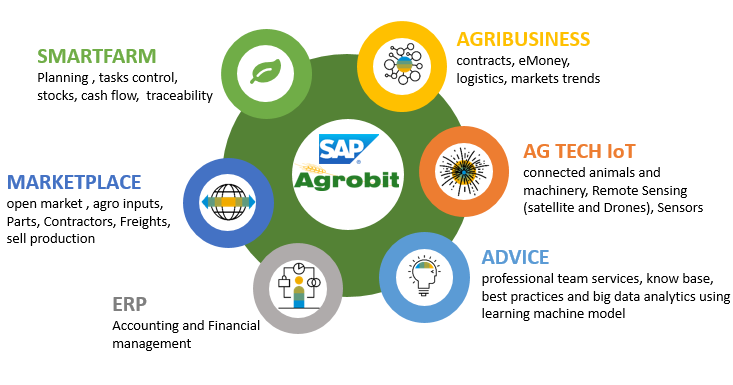 SAP® Agribusiness, a comprehensive management software for the agribusiness chain from production to the consumer. A solution designed to meet the most immediate needs, requirements and concerns that companies have today. An accessible and easy-to-use management software that integrates all the business areas of the company, including, production, inventory management, origination, traceability, logistics, agribusiness, export, CRM, financial management, sales, purchasing and Business Intelligence (reports for decision making). Designed for the food industry, producers, cooperatives and exporters. SAP® is a global software, with more than 50.000 clients over the world. 700 local partners in 150 countries, also can work in 27 different languages. With SAP HANA, it is the first ERP that can work with in-memory technology in the transactional part. Centralize and integrate all your business data of sales, inventory, purchases, operations and finances in a single system. Because you optimize all the operations from the beginning to the end of the process, so you can focus on accelerate your business. No matter your size or industry we offers a wide range of plans with a reasonable level of investment. Because you will see the result in a short time. Intuitive user experience minimizes user training and reduces the cost of continued IT support (low total cost of ownership). We use different tools to analyze the demand, we also work with a complementary solutions, SAP® Business One is based on open standards that not only support the simple integration with other systems but also a faster learning and simple for users. Thanks to the architecture of the product, the changes of version are measured in days of work and not in complex projects of migration. We can establish an adjusted and predictable maintenance cost with our customers. From the planning of primary production to the consumer. 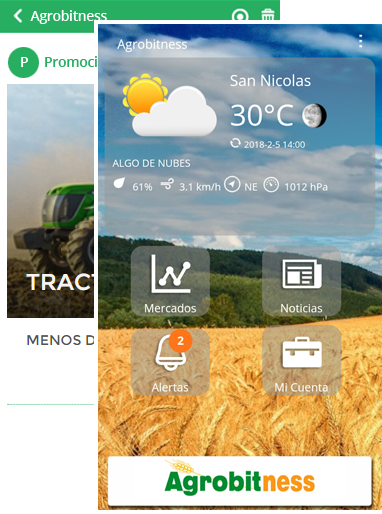 Counting on recommendations based on analytics such as planning help, field work management, machinery, labor and supplies, connected machinery generating automatic information, control of the chain processes, best practices and traceability. Agribusiness digitalization a disruptive way to make food business. Everything is changing, everything is increasingly interconnect in the digital economy. Commodities prices volatility and logistics complexity make it indispensable to use digital tools to compete. The relationship with the clients, the collaboration anywhere anytime are the key to accelerate your business with innovative technologies. Purchase and sale contracts with flexible prices, different volumes and delivery dates, special quality conditions, risk control, future prices, applications, weight and downloads control, settlements, swaps and payments. Analytics positions of available and future contracts for best commercial decision making. In the Logistics, manage the life of goods, planning quotas, rates and agreements of freight, charges, transit, downloads, waste, conditioning and travel control in real time. Stocks in field, temporary storage (grain bag), warehouses, containers, transit, silos in plants and containers. Manage discharge circuits in plant and shipments. Self service management portal for partners and customers.